We recently helped local customers Mr & Mrs Greig complete one of our beautiful sunroom installations in their Dunfermline home. Read on to find out more. 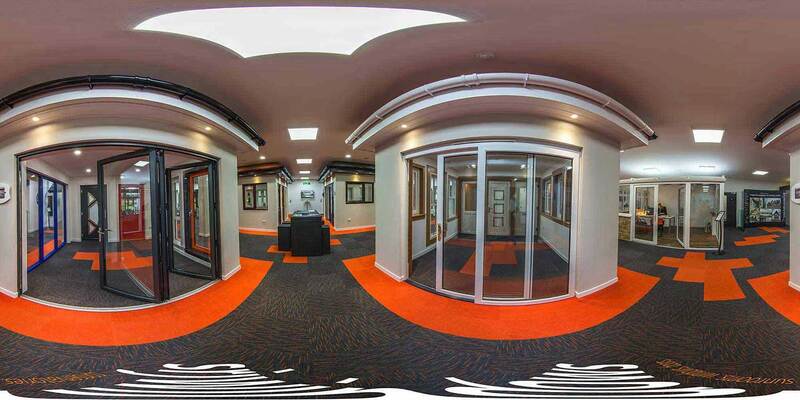 Here at SRJ Windows, we’ve always taken pride in our dedication to high-quality products and fast installations times. This extends across all our products, from windows and doors to conservatory extensions. 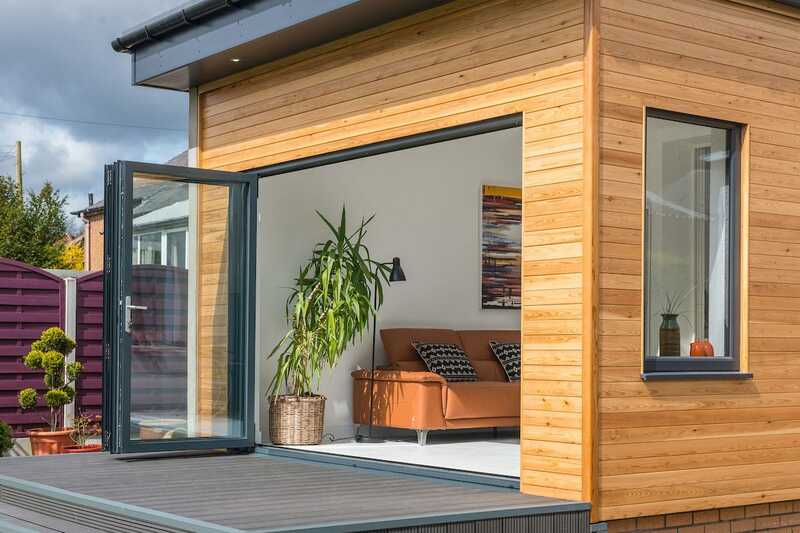 We were excited to be involved in this project based at the customer’s home in Dunfermline, where we installed one of our fantastic sunroom installations. Quaintly sized and beautifully crafted, this sunroom installation was a marvellous product that our team thoroughly enjoyed working on. Produced and installed for Mr & Mrs Greig, this particular extension is smaller in stature than some of our other full home extensions. 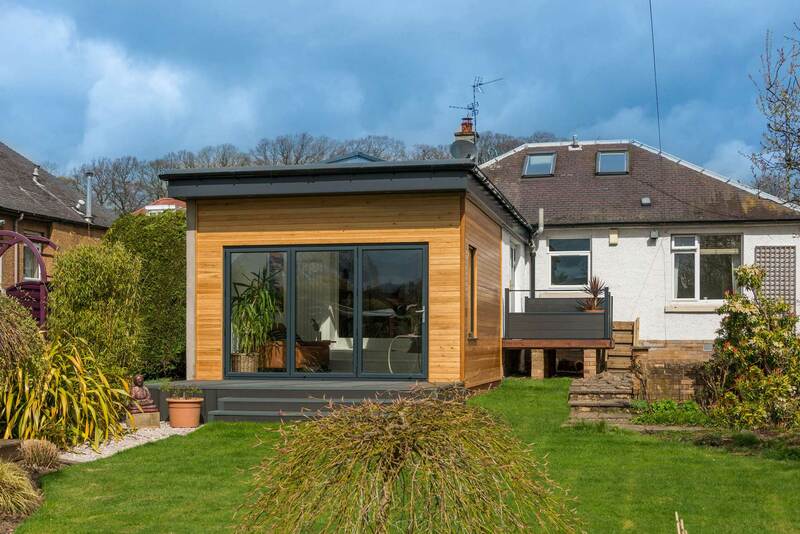 This size allowed us to combine the home and garden without taking up too much of the available space. Gorgeous wood panels and contemporary under-lights combine the traditional and the modern within this fabulous design, and our teams worked tirelessly with the homeowners to make sure that their dream could become a reality. The result was a perfect getaway space to enjoy throughout the year, whether entertaining guests or simply relaxing in the evening. 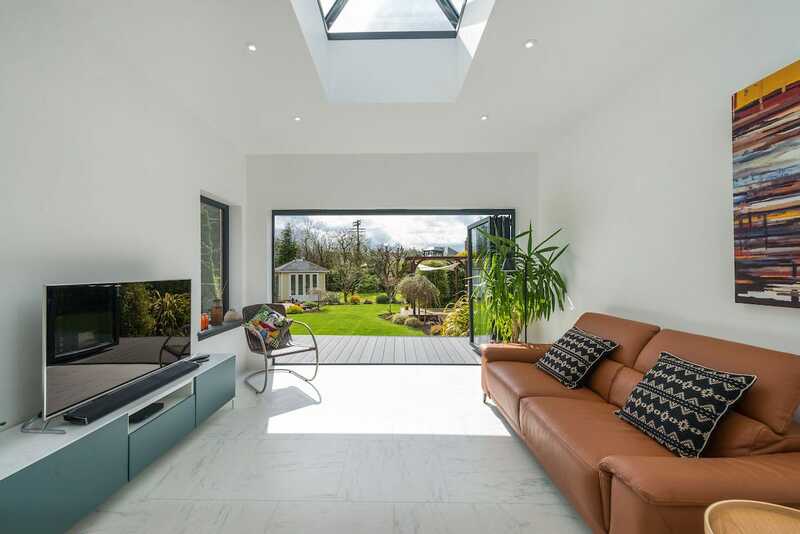 There are a number of stand-out features that made this bespoke sunroom installation so special. Immediately noticeable is the series of steps leading up from the garden. This was put in place for the sake of accessibility, since the customers wished for their sunroom to be raised up from the floor. This leads on to a mini-patio area for small chairs and tables. We also utilised our bi-fold doors in this construction, since the intention was to create a room that perfectly blended the indoors with the out. Bi-folds were therefore the perfect choice, since they allow the maximisation of space with their unique folding mechanism. Our simple casement windows also allowed extra light to flood in through the sides. “Grant & Barry were very conscientious and did an excellent job. The team that did the foundations and brick work were also very good as were the plasterer and rough-caster”. – Mr & Mrs Greig, 2018. Call up our team on 01383 851 951 today, and experience what it’s like to work with our specialists. 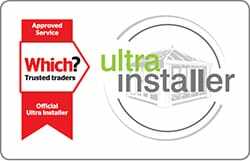 We guarantee a quality installation each and every time, alongside premium products that are customised to your exact specifications. If you want to find out more but don’t have the time to give us a call right this second, then why not send us a message? Like these happy homeowners, you could be the proud owner of one of SRJ’s stunning sunroom installations in no time at all. Alternatively, the SRJ Windows pricing tool is the fastest way to a bespoke quotation. Designed to give you a price with just a few details, this brand-new tool has been configured specifically for our website and is entirely free to use. Try it out today!